That's not a problem. Thanks for the update. As you don't intend on using the Changed Block Tracking feature, there's no need to use the updated mrcbt.sys driver file. For completeness, you might want to uninstall that feature from Macrium Reflect as the driver is still loaded at boot even with the option unchecked. To do so: Open Programs and Features -> Right-click Macrium Reflect and click Change -> Click Next followed by Modify -> Uncheck Install CBT and click Next -> Click Install -> Reboot the computer. We haven't seen any issues specifically between Macrium Reflect and the Ransomware Protection component, so it's possible it was the reboot that solved the issue (following on from the earlier unexpected shut down). Please continue to monitor the computer and let us know if you encounter any further issues. Malwarebytes version 3 has never officially been supported on Windows XP SP2. The legacy Malwarebytes Anti-Malware version 2 was supported on Windows XP SP2, but please note that this product reached end of maintenance nearly 2 years ago. It does still receive definition database updates, but it is severely lacking in detection capabilities and other areas when compared to Malwarebytes version 3 (in Free mode). My advice would be to strongly consider moving away from XP in favour of a support Operating System. Yes. For Malwarebytes version 3 and Malwarebytes Anti-Malware version 2, Free mode includes the ability to run scans on specific files/folders. Real-Time Protection drivers are installed dynamically in Premium/Trial mode. Once reverted to Free, those drivers are automatically uninstalled. There are no leftover running elements from the Premium/Trial mode. The system freeze you originally experienced was likely caused by the mrcbt.sys driver belonging to your installed Macrium Reflect product (specifically related to the "Changed Block Tracking" feature). We've had a few reports from other users experiencing similar freezes and analysis of dump files obtained from the users revealed the source to be operations performed by Macrium Reflect's mrcbt.sys driver. I suspect the subsequent issues you encountered with the Anti-Rookit module not starting are related to the machine's forced/ungraceful shut down. Replace the mrcbts.sys file in C:\Windows\System32\drivers with the updated version from the download link above and then reboot your computer (this is important). Afterwards, please let us know if you encounter any further issues with system freezes and or Rootkit scanning within Malwarebytes. When changing settings within Malwarebytes, are you dragging the toggle across as depicted below? This will sometimes result in the setting not being saved. We have a defect filed for the issue. To guarantee the setting is saved, tap/click the different setting position as depicted below. If the above does not apply to what you are seeing, please provide the requested troubleshooting information mentioned in post #2 along with additional details on what settings you are changing. The current version of Malwarebytes has no installation compatibility issues with Kaspersky Security Cloud. If you encounter an issue during installation, please take a screenshot of the error and provide it to us in a post. We have a defect filed for the erroneous creation of a duplicate/additional scheduled scan in a certain scenario (involving license state changes). Ultimately, we would need the logs requested in the post above to confirm if the cause of your issue is the same or not. However, I do understand if you would prefer not to provide them. Does the block occur with all CNN.com pages or just certain pages? Can you provide the URL of a CNN page that you experience the block on please? To help us better understand why you're experiencing this block on the CNN.com website, capturing a trace with a program called Fiddler will help. Launch the program once installed. Open Google Chrome and navigate to a CNN webpage that you experience the Malwarebytes website block on. When the Malwarebytes block occurs, return to the Fiddler window and save the trace by clicking File followed by Save followed by All Sessions. Once saved, open the folder containing the .saz file. Right-click the file and click Send to followed by Compressed (Zipped) folder. Please send a Private Message to me (hover over my name and click Message) with the Zip file attached. I can reproduce the behaviour you're experiencing. We are investigating the issue further and will provide an update as soon as possible. That's the correct file. Premium/Trial/Free share the same installer file. Thanks for the update. I'm glad to hear all is now well. Thanks very much for keeping us up-to-date with the contact you've had with Macrium. Our analysis of the dumps you recently provided show the same set of conditions and deadlock cause. Please do let us know how you get on with the updated version of mrcbt.sys that Macrium provided you. So in passing, I wonder if there's any connection here, in possibly explaining not only the freeze story but also why this particular machine also produces 36887 errors regularly? The Malwarebytes service logging indicates a correlation between the Self-Protection module and those events being logged to the Windows System Event Log. If you find they still persist, we can certainly continue looking into this. I don't believe they are associated with the freeze/deadlock, but it would certainly be worth verifying if they still persist after the deadlock no longer occurs. Your deadlock occurs between a RegUnloadKey operation performed by MBAMService (the main Malwarebytes service) and a RtlQueryRegistryValues operation performed by mrcbt.sys (in which it tries to acquire a CmpRegistryLock resource). Taking Malwarebytes out of the equation changes the scenario. To confirm, did you uninstall and then reinstall McAfee? Your license key is currently showing as activated on the same machine that the Malwarebytes Support Tool was run on. To confirm, were you eventually able to activate Malwarebytes Premium? What's the current situation with your Malwarebytes product? Name the Zip file EventLogs.zip and attach the file in your next reply. Thanks for the information and files. The dump is consistent with other blue screens we see when McAfee is installed and an email client (Outlook, Thunderbird, etc) is opened. This is typically fixed with a reinstallation of McAfee. As you have McAfee Total Protection installed, please uninstall the program and verify the blue screens stop. Afterwards, you can reinstall the McAfee product if desired and should find no further issues encountered. That's understandable. We appreciate your efforts with assisting the troubleshooting of the issue. 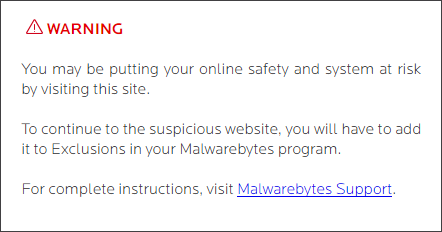 Please note that the freeze has still been observed by some users even after Malwarebytes is no longer installed. With that said, investigation is still on-going and we are actively looking into whether a change on our side can help alleviate this issue for users with Macrium Reflect and Malwarebytes installed. Please do share the findings with Macrium. I would also strongly encourage you to share the MEMORY.dmp file with them as well. If you encounter another freeze with the latest version of mrcbt.sys installed, we'd be happy to take a look at the dump file. Analysis of the dump explicitly implicates mrcbt.sys; a driver file belonging to Macrium Reflect. This is consistent with our internal testing of the freeze, along with reports from other users experiencing the same issue. In your case, the freeze is caused by Macrium Reflect's (specifically, the mrcbt.sys driver) attempt to acquire a lock on a registry resource which Malwarebytes has already called the RegUnloadKey function on. The mrcbt.sys driver is associated with Macrium Reflect's "Changed Block Tracking" feature (Other Tasks -> Edit Defaults -> Advanced -> Advanced Incrementals). We've found the following steps mitigate the freeze whilst still allowing full image backups to be performed. Right-click Macrium Reflect and click Change. Click Next followed by Modify. Uncheck Install CBT and click Next. Reboot the computer <- Important! We're still investigating whether there is anything we can do on our side to help mitigate this issue. However, do keep in mind that it is the Changed Block Tracking feature in Macrium Reflect that is triggering the freeze. We sometimes see users report experiencing a blue screen with email client use when McAfee is installed alongside Malwarebytes. This is typically fixed with a reinstallation of McAfee. As you have McAfee Total Protection installed, please uninstall the program and verify the blue screens stop (ensuring you re-enable all Malwarebytes Real-Time Protection). To help us investigate the issue, please provide a full memory dump (%systemdrive%\MEMORY.dmp) along with further details on the issue. When did the blue screens start occurring? How often do they occur and is there any particular action that triggers them? Which version of Malwarebytes did you have installed? The dump file can be uploaded to a file hosting service (Google Drive, OneDrive, WeTransfer.com, etc).